I’ve chuckled before, thinking, God isn’t very good at math! 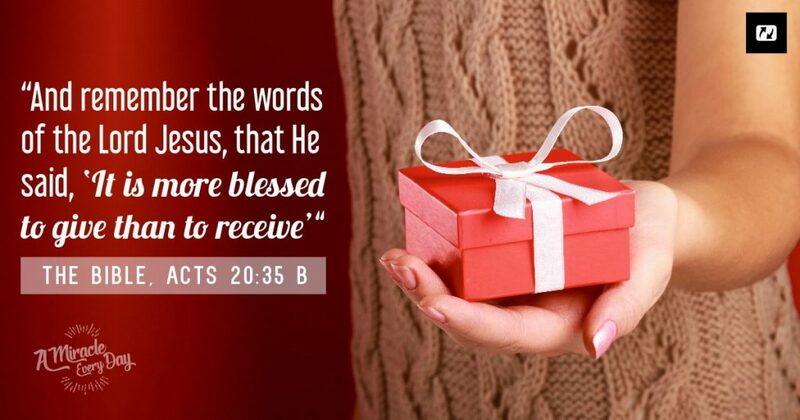 It would seem that, according to Him, the more I give, the more I receive! Strange, isn’t it? In the logic of the Kingdom of God, the act of giving isn’t synonymous with loss but rather, with gain. 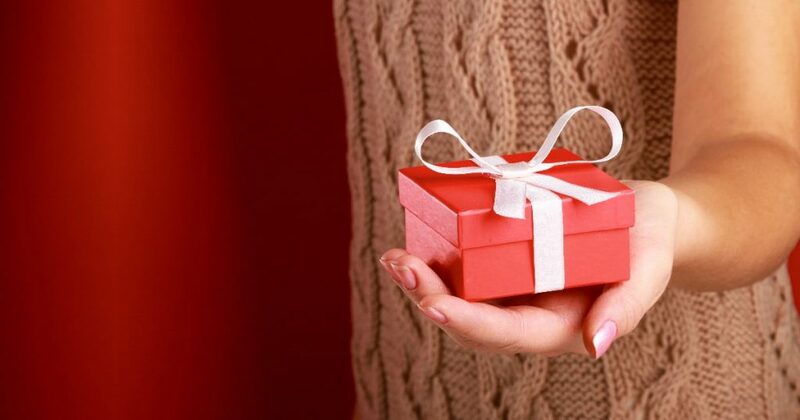 Maybe you’re even thinking right now that, with this logic, giving wouldn’t be a good and selfless act, but rather one that’s a bit egotistical: I give to receive. In fact, if we give with a state of mind that isn’t right, God cannot bless completely: He gives according to the measure that we use! In addition to being an act of love, giving is also an act of obedience to God. God uses His children, women and men who give what they have at their disposal, without worrying about what others will say, but simply seeking to honor Him, knowing that He’s the One who changes water into wine, multiples the bread and fish, and makes a donkey transportation for a king! Time to listen to a loved one who has problems. A smile to the supermarket cashier. Money to support a charity. Your talents to serve His church. Opening your house for a discussion group or Bible study. Congratulations, Angela. I love your attitude, and you’re an example of generosity. Thank you for giving your time, willingness to listen, and encouraging words. Does this mean giving to people that dont appreciate you too? I had a Birthday a couple of weeks ago and bought myself a pair of shoes. I was there to get my husband shoes as we share the same Birthday. Last Wednesday i drove to a mall that’s actually out of my town. Being disabled sometimes i have to push myself and go anyway. It’s about 45 minutes away so off i go. I have met people that that work at different stores in this mall over the years. One lady really has a hard life. Her grown children are in trouble a lot. I make it a point to stop in to chat with her because she knows i pray for her. All year on days i have felt like going up there i noticed she always wears these little wore out red shoes. I ask her if that was the only pair of shoes she had. I had her try on my new tennis shoes. They are so comfortable with memory foam. They did fit her and she told me that’s what she needed. Her feet hurt and her back hurts. She told me she didn’t know when she could ever get a new pair. I told her i would be back because there was another store right there i wanted to go in. When i retuned to her she was on the phone. I could tell it was one of her kids. She ask me to give her a minute. I was on a mission so i was glad she was on the phone. It was very cold out this day so i had socks on. I took my shoes off and laid them on the counter. And hurried off saying “ God bless you i love you”. Those mall floors are slick and i have recently fallen and am under my Doctor’s care. I said lord please don’t let me fall. She started yelling for me to stop and said hey what are you doing? Are you serious? I looked back a couple of times saying to her God bless you I love you. I didn’t want to go back because i knew she cry and tell me i couldn’t give her my shoes. As i went on through the mall people were literally asking me where my shoes were. I don’t know how many times i said I just gave them away. I had several people ask why i would do that. I wouldn’t stop but would say someone else needed them worse than me. A worker in one of those stores trying to lure you in ask where my shoes was. Same story i told her. She ask me to walk over to her. I told her i didn’t have time to try her products because i needed to get home. She said that’s not what i want. I walked over to her. She is from Israel. She ask me again about my shoes. She was younger than me not by a lot though. Tears started flowing down her face. She ask if she could hug me. Of course i said yes. She ask my name and told me to look in her eyes. As i did she said “ Debi you are my hero from this day on”. I told he it was ok i didn’t need those shoes. I have plenty at home. I had to stop in Macy’s the big international store. I had to actually go through there to get to my car anyway. But i know a few people that work at different makeup counters. I had to stop on my way out because a manager i know in the Clinique department had given me a display box and i had to grab it on my way out. I have a thing about decorative boxes like the old vintage hat boxes. And all pretty decorative boxes. But the Clinique box was to put my makeup in. After the holidays they throw those boxes away. But this manager told me when i came in that she had two set back for me. I stop to get them and same story people asking where my shoes were. By now i was tired and since i have Neuropathy in both legs down to the bottom of my feet. And osteoarthritis in both knees on top of my injured knee i was really tired and in so much pain. And i was thinking about all these strangers asking me where my shoes were. Honestly it wasn’t anyone’s business to be asking me. And then asking me why i would do that. I actually got frustrated over this. I was worried about falling because of all the slick floors and just wanted to get out of there. As i proceeded to my car there was two ladies walking close to me in the other isle heading to the exit. One lady was older and the other probably my age. They kept looking at my feet and snickering and whispering. Ok i am a Christian and the Bible says Be ye angry but sin not. I had already had enough of people and i was tired and in pain. I looked over at these two people and said “ Yes i have no shoes on. And i see you two laughing and whispering “. Sure as i already knew the older lady said they had noticed and was trying to figure out why i didn’t have shoes on. I told her i gave them away and of course she ask why would i do something like that. Now we were walking to the door to the parking lot. I had a few things to say to these two people laughing at me. I told me as well that my shoes were Sketchers and i had just gotten them three days prior on my Birthday. I have a bad problem talking with my hands. I always have to have my hands moving or pointing when I’m talking. A lot of people happen to do this. I really let these two people have it. I told them instead of laughing at me they needed to stop and think about what i did. The older lady said well they just don’t get it. Someone taking their shoes off in this big mall and giving them away. I did get loud at this point and started running my mouth. Now i didn’t say bad things i pointed out facts. I said i didn’t care one bit about a pair of shoes when i knew someone needed them worse than me. And told them i give more things away than those two people own. My last words were for both of them to think of this. God provides my needs and he takes care of me. And he will continue to take care of me. And maybe they needed to think about that the next time they want to laugh at someone. And it could have been possible that i didn’t even have shoes. See all these people asking where my shoes were never offered to buy me shoes to get home with. A good Christian would have done without and took me aside and got me something cheap knowing how cold it was outside and my socks were very thin. I didn’t give them away so someone could buy me a pair. I’m just saying that someone could have offered instead of asking so many questions than walking away shaking their head. Later i was thinking maybe i planted some seeds during that long walk to me car. The two laughing ladies kept whispering and laughing no matter what i was saying. Shame on them because i got in my car and called that shoe store to see what time they closed. No i didn’t need the shoes. I liked the shoes and they were very comfortable. Being out of town i had to stop at another store right in the plaza with the mall. I figured i had enough time to stop and get me another pair of them shoes. I made it back run to those shoes and my goodness they weren’t on sale now. It was a Black Friday special sale. I got the shoes off the shelf anyway. Then ask about another pair of shoes that i have a similar pair of. By now the shoes are buy a pair get a pair half off. Also there are a few stores that give me a military discount. They know it’s not me but my husband is a Vietnam Veteran. So i got two pair of shoes for the regular price of the ones i went back to get. I laughed and said out loud ha ha laughing people now i have two new pairs of shoes. I was obedient to the lord and gave my shoes away. I don’t care how many people were laughing at me. Because i got the Victory and God gets the glory!! That was last Wednesday and since that day i have had blessing pouring like rain on me. I had a stranger leave money with a cashier to put on my payment at a local shopping store i was in. I had some stuff in a online place i order from sometimes. I left if in my cart and a manger that is a Christian because we email each other seen those items and paid for them and they are being shipped now. There’s more blessings that has happened but i have really made this long and don’t know if it will be posted. I seen on here someone ask if you should give to your enemies i believe it said. To you my friend if you see this yes give it to your enemies as we are to love our enemies and forgive them. But you don’t have to like what they do. But don’t build your treasures here on earth the Bible teaches us. I always have resources with me like booklets and tracts little stuff to hand out to strangers i feel may need it. Although i bought new shoes me and my husband are having a very hard financial hardship. I have Cancer and took two Chemo therapy treatments a day for 30 days. And it did not work. I told my doctor i would not take anymore treatments. I have a rapidly growing Cancer and i am now in God’s hands. I got online to see if i could find free resources so i can continue handing stuff out. I did find a place that has sent me tracts. Do not allow the Devil to take anything away from you. Give it all away and you will see how much God will pour the blessings down upon you.